Long ago were the days when renters searching for an apartment were only focused on location, price and availability of the necessities. In today’s world, multifamily renters consider a variety of factors and increasingly want to live somewhere with a community feel that incorporates the area’s history and culture. Landscape architecture firm EPTDESIGN has been helping apartment communities achieve this atmosphere since its start in 1962, researching each site’s ecological, cultural and built histories when designing spaces. 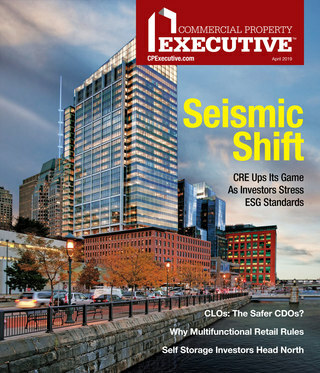 Matthew Hall, a partner and principal of the firm, caught up with MHN to discuss how EPTDESIGN incorporates local and historical features into its multifamily projects and why feeling a local connection is important to residents. MHN: What role does historic relevance play in multifamily landscape design and how can history be incorporated in a meaningful way? Matthew Hall: History comes into play on a few different levels for multifamily. Some of our larger communities, because of the mere size of them, we’re essentially town building or neighborhood building. We’re taking historic precedent when we’re designing communities in association with the architect to create livable communities where the parks and amenities are located with walkable streets. We have one client who is very traditionally based, with a lot of European precedent, so history comes into play just from the architectural style and the site planning. Densities are very high and land is very valuable so making the most of the site plan is important. The other aspect of how history comes into play is more of a site’s geology and geography. We do a lot of research on projects to understand everything about the site, what happened on the site, what the water flow is, especially here in California where water is a big issue. So understanding what the previous uses on the site were and how the water flows across the site is important. The Arroyo is the central park EPTDESIGN created for the 384-unit Paseos at Montclair community. Paseos at Montclair won a concept design competition in 2009 and the movement of water across the site was the main theme of the project. Stephen Carroll in our Pasadena office was the main principal on the project and did historical research of the water flow across the site to create the concept around that. We captured the water flow not only from a sustainable standpoint, but also from a thematic standpoint to celebrate that water. We utilized the water in the center of the community as a central park called The Arroyo with a butterfly garden and water retention area. There’s also The Residences at Pacific City, where we did a lot of research of Huntington Beach and the coastal culture. A lot of folks may use history more from a thematic standpoint, but we moved away from that and looked not so much at history but at what the environment is at the beach. Why do people want to be on the coast? What is the weather and temperature like? I guess it’s loosely considered history but more focused on the elements of the site that make it important and relevant. The project’s focal point is the central park, which is an abstraction of an ocean swell with cresting waves that crash onto the sand. MHN: What is the time frame for the process of researching and deciding how to incorporate historic features into a design? Hall: The projects move quickly, especially the multifamily projects we’re working on. The research we do has to happen quickly. We use a lot of imagery, present to our clients what the story is, [and] show them real examples of its historical context. From the town planning side of it, we do a lot of scale comparisons. We’ll show the client how their community compares to notable neighborhoods and developments. Some of these are fairly well-known towns while some are fairly obscure communities. We look back at communities built five years ago, 25 years ago, even 100 years ago and show them how their community compares. MHN: Is incorporating historical and local relevance an increasingly important feature for multifamily residents? EPTDESIGN created a coastal landscape at The Residences at Pacific City, a luxury community located in Huntingon Beach, Calif, also known as Surf City USA. Hall: I think it’s really important. Architectural design—and speaking more for the Southern California region where most of our experience is— for multifamily is interesting. A lot of projects I’m seeing are trendy, which I think is a bit of a dangerous term, especially on the residential side. Retail projects can change over time and morph as the markets change, but I think for residential there needs to be more a sense of permanence and a grounding to it. On the multifamily side, I think the historical precedent and strong connections to the community, the geography and geology are important to evoke that sense of permanence. I would hate to see multifamily housing really have a trendy tone to it. A lot of the folks that are renting are renters by choice, so we want them to have a strong sense of place. 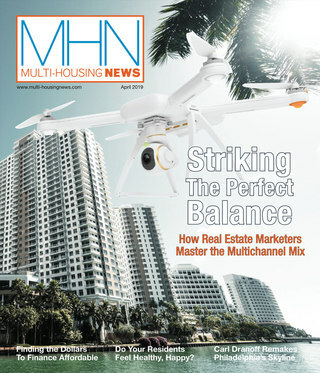 MHN: How do you try to ensure your multifamily projects have a permanent feel to them? Hall: In our designs across all of our projects, the materials we use are more on the timeless side. We stay away from trends and fads and materials that have a short lifespan.We’re striving for a sense of permanence in the communities. We would never want a community to be identified by its construction date. We want it to be identified by the quality of the materials and the space planning, not by a certain trend that was hot at the time. MHN: What are some design challenges you encounter and how do you adapt to changes in your industry? The Residences at Pacific City’s landscape includes adapted plant species, palms and an ultra-high efficiency irrigation system. Hall: Design challenges for us are with densities, having enough space to work. The landscape architects deal with large structures and there are certain densities developers need to meet so sometimes the landscapes are spatially challenged. Being able to do all we need and want to do in the open space is sometimes a challenge, especially with the water quality requirements in Southern California. We’re sometimes challenged with making sure there’s enough space left over to create habitable, enjoyable outdoor space. From a technology standpoint, things are changing for us. We’re working in the 3D BIM (building information modeling) environment now quite a bit, which generally was more of an architectural and mechanical engineering software. But we’ve been pushing strongly into that 3D environment and modeling the landscape along with the building and speaking with the architects to create a 3D building model for the working drawings. BIM enables everybody to be working on the same platform. It’s a big deal for the landscape architect in that now everybody is in the same working environment, you can update the model basically in real time. As densities and the complexity of communities increase with all of theconstruction items that have to come together, it’s an important tool. That’s been on the forefront for us as something that’s really changing how we design and develop projects. Another change is the evolution in our industry from water conservation being more of a nice thing to do to being a mandatory thing. We need to make sure our clients are well educated as to what the requirements are and what it means to their development and community.